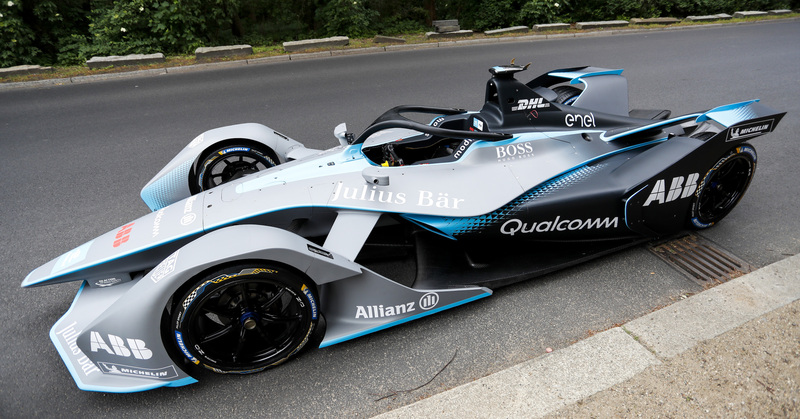 The symbolism could hardly have been more obvious: the first man to drive the new ‘Generation-2’ Formula E car in public, on the streets of German capital Berlin, was none other than 2016 Formula 1 world champion Nico Rosberg. At present, the two series remain worlds apart in their popular appeal. 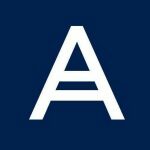 One is the 68-year-old mothership of motorsport – the blue-riband championship whose stars and great teams are household names: Hamilton and Mercedes; Vettel and Ferrari. Formula E, meanwhile, is a toddler only now approaching the end of its fourth season. But, my, how it has grown – and proof (if proof were needed) of the essential rightness of its guiding principles is that over the next 18 months Formula E will welcome three of the most prestigious German car manufacturers as factory-backed entries: BMW (season five), Porsche and Mercedes (season six). 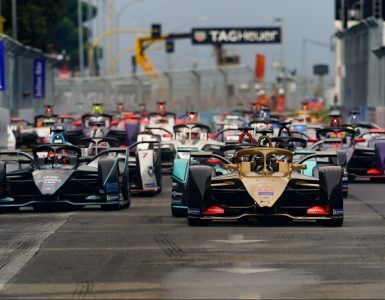 They’ll join Audi, who entered this year, Jaguar, Nissan (partner of Renault, whose team they’ll replace) and Mahindra as major global car makers for whom Formula E represents an irresistible technological showcase. And just as they do so, the championship will present them with a better toy to play with. 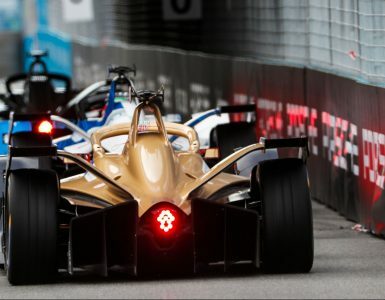 To date, all Formula E teams have used the series’ first generation car – essentially a spec chassis running common-to-all tyres and brakes, with a battery pack supplied by Williams Advanced Engineering. Championship regulations allow teams to pursue independent development only in the areas of the powertrain (the components that transmit the battery’s power to the rear wheels) and the rear suspension. And on account of the battery’s limited capacity, drivers have had to change from the car in which they start, to a second, identical, machine (with a fully charged battery) mid-race. Things will change significantly for season five, however, as befits a championship that’s rapidly growing up. 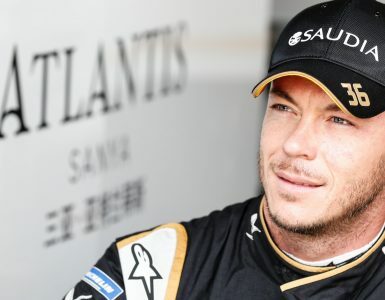 Because when the drivers line up for the opening round in Riyadh this December, they’ll be doing so in ‘Gen2’ cars, which are more powerful, faster, and which take a significant step forward in battery life: for the first time no mid-race car-swaps will be needed – the cars will run from lights to flag in one chassis. The new energy store is the work of McLaren Advanced Technologies (MAT) and has been designed to a strict FIA specification. Weighing 385 kg, it is both larger and heavier than the current battery, but its peak output of 900 volts brings an increase of 200 volts. It will permit peak qualifying power of 250kw – approximately 330bhp – and should be enough to allow FE cars to crack a 180mph top speed, where circuits allow. The battery’s increased duration has been key to attracting the new wave of premium entrants: no German car maker could afford any perception that their cars weren’t able to ‘last the distance’. BMW, for example, have supported Formula E from the outset with their i3 and i8 models as medical and safety cars. Until now, however, they had declined to enter a team. Gen2 Formula E Car, BMW i Berlin E-Prix. © LAT/Formula E.
Simon adds that a key aspect of MAT’s successful tender was their familiarity with the particular demands of motorsport, particularly in the areas of packaging and the need for components to be robust enough to survive competition use. The visually arresting aerodynamic package of the Gen2 car has been designed to help here. While the car has been sketched to ‘look good’ for fans, its surfaces will promote cooling, while its underbody and large diffuser will generate downforce (to increase tyre grip). The chassis will be built by Spark Racing Technology, in collaboration with Italian racing manufacturers Dallara and other technical partners. Michelin will continue to supply the road-legal tyres, with brakes from Brembo. The new car also includes the driver safety ‘halo’ device, now familiar in F1 and F2 and being introduced across the FIA’s single-seater championships.